This modern and elegant PowerPoint template features a stylish yet minimal design that allows you to create attractive presentation slideshows for all kinds of purposes. It includes a total of 30 slides with easily customizable designs, editable vector shapes, free web fonts, and much more. A minimalist PowerPoint template featuring a creative design. This template comes with a clean design that allows you to effectively highlight your content with minimal colors and content formatting. The template includes 50 unique slides with vector infographics, editable shapes, and more. Wizzle is a creative PowerPoint template you can use to design all kinds of business and professional slideshows. It features 30 unique slides for creating portfolio slides, profile slides, showcase services, and more. The template is available in Full HD resolution. Rapide PowerPoint template comes with a modern and unique content design. It includes 30 unique slides with a unique image and text formatting that will surely make your presentations stand out from the crowd. It includes editable shapes and image placeholders as well. This elegant and minimal PowerPoint template lets you design creative presentation slideshows for agencies and professionals. It includes 30 unique slides featuring simple and clean designs with editable shapes and graphics. Isla is a creative PowerPoint presentation template that features a modern multipurpose design. You can create all kinds of business, marketing, and company profile slideshows with this template. It includes more than 30 unique slides. Verticle slideshow designs allow you to design unique presentations with a clear and clean content design. This PowerPoint template will allow you to create such a modern presentation with a verticle layout. It includes 90 unique slides with verticle designs. Glory is a highly minimalist PowerPoint template you can use to craft slideshows for all kinds of business and creative presentations. It comes with 60 unique slides with multipurpose designs, which are also available in 20 different color schemes and in Retina and Full HD resolutions. That’s a total of 1200 slides. This minimal and modern PowerPoint template will help you create more attractive slideshows for presenting clothing and fashion brands. The template features a total of 30 unique slides with clean and simple designs as well as editable shapes and colors. Lazvy is a creative PowerPoint template most suitable for making minimal slideshows for business and creative presentations. It includes 30 stylish slides featuring unique content arrangements and colorful shapes. This unique and minimalist PowerPoint template comes with more than 50 slides filled with vector elements, icons, graphics, and more. It’s most suitable for creating presentations related to fashion, apparel, and photography. Vancouver is a clean and simple PowerPoint template you can use to create professional presentations for showcasing products and pitching startups. The template includes 30 fully-animated slides. Passion is the ideal PowerPoint template for photographers and fashion designers for showcasing and presenting their designs. It comes with 30 slides featuring editable vector graphics, image placeholders, and more. Houss PowerPoint template combines elements from both minimalist and modern designs to offer a set of unique slides. It includes 30 slides with easily editable designs and image placeholders. Annual Report is a PowerPoint template designed for making marketing and business-related presentations. It comes with a minimal design and with bright colors. The template includes 40 unique slides. Novaula is a clean and minimal PowerPoint template you can use to design presentations for all kinds of projects, including creative, business, and personal presentations. The template features a total of 150 slides in 5 different color schemes. This PowerPoint template features a highly visual and a minimal design. It comes with 30 unique slides in 50 different premade color files and lots of editable vectors and icons. Rits is a modern PowerPoint template featuring a minimalist design. The template features easily editable slides with image placeholders, editable graphics, icons, infographics, charts, and much more. This creative and minimalist PowerPoint template is the perfect choice for creating more attractive presentations for your business and event speeches. It includes 30 unique slides with animations. A highly minimalist PowerPoint template for creating modern and professional presentations. This template comes with 30 unique slides that are available in 5 different premade color themes. This minimalist PowerPoint template comes with a beautiful and a modern design. It includes 30 unique slides in 5 different color variations delivered to you in 5 PowerPoint files. It also includes resizable graphics and infographics as well. Sampoerna is a presentation template that features lots of visual elements, including large images, icons, graphics, and more. It has over 35 unique slides in many different layouts from gallery slides to portfolios and more. Kloe is a PowerPoint template with a creative design that’s most suitable for fashion and clothing related brand and business promotions. It features more than 120 slides with infographics, charts, icon packs, and timelines. Yet another highly minimalist presentation template for creating both business and personal slideshow presentation. This template also includes many different objects, shapes, icons, and more. Featuring 20 master slide layouts, this PowerPoint template allows you to craft modern and professional presentations without a hassle. You’ll also get many customizable graphics, charts, diagrams, and tables with the template as well. Nors is a professionally designed PowerPoint presentation template that features a minimalist design that uses just 2 colors. It includes 130 unique slides with a pack of free icon fonts, device mockups, maps, and lots more. This minimal and clean PowerPoint presentation is best for business proposal presentations and meetings. The template also includes many different vector graphics, icons, shapes, and more. Oskale is a stylish PowerPoint template you can use to create beautiful presentations for creative agencies and businesses. This template includes 70 fully-animated slides with editable diagrams, maps, and many other elements. This is the perfect presentation template for creating a modern and minimal slideshow for branding and agency businesses. The clean and bold design used in the slides will certainly help show professionalism. Squirrel is a PowerPoint template specially designed for creating business proposal presentations. The template comes with over 50 unique slides featuring charts, graphs, pictorial slides, portfolios, team slides, and much more. If you’re looking to make a strong professional impact, go with this Nova Minimal PowerPoint Template. It has a very clean, formal look that is perfect for your next big presentation. An amazing minimally designed professional template that comes with 115 slides and over 450 vector items included in the pack. So much versatility and choice to work with. Alveo is a modern and creative minimal PowerPoint template, suitable for personal portfolio, creative agency, designer portfolio, illustrator portfolio, photographer portfolio and more. Its just as easy to customize to fit your needs, replace images and text. A modern and clean PowerPoint presentation special for a agency or any type of business. A modern and clean PowerPoint presentation, perfect for a agency or any type of business. Easy to change colors, text, photos. Fully editable. Air Minimal template is a perfect package for your business proposition. It has a very clean, formal look that is perfect for your next big presentation. Simplicity is the ultimate sophistication and quantum minimal PowerPoint template holds true to that quote. It comes with 60 plus different slides. If you’re looking to make a strong professional impact, go with this modern minimal PowerPoint template. It has a very clean, formal look that is perfect for your next big presentation. This pack contains 60+ unique fully HD slides that you can edit according to your needs. Wolf is a minimal PowerPoint presentation template suitable for personal portfolio and business presentations. It’s very easy to customize to fit your needs, replace images and texts. Pacific is a creative presentation template for PowerPoint that focuses on displaying albums and photos. Presentation of the new Eva was created multi-purpose template that will meet the latest design trends, as well as extremely easily customized by any user without any previous knowledge in PowerPoint. Each slide is laid out and easily can be adjusted to suit individual goals. We have created 7 different styles of combinations of fonts and emotional animation layers. Everyone will find the right for yourself. 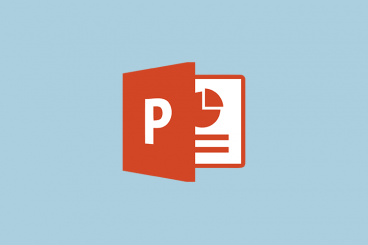 A simple and modern PowerPoint presentation template. All slides are fully editable. Easy to change colors, text, photos etc. Perfect for business, corporate and personal use. A very sleek PowerPoint presentation template with 32 unique slides and 2 different color schemes. It has minimal fade transitions, 16:9 aspect ratio, 1920×1080 resolution and includes .PPTX files.